That is not a misprint. This musing will not be about the revered Venetian Doge’s Palace, while it is a lovely place. This post is truly for the dogs. Architect Frank Lloyd Wright may be famed for his Prairie vernacular and verbose offerings in Illinois and Arizona, but really, why should humans have all the fun? 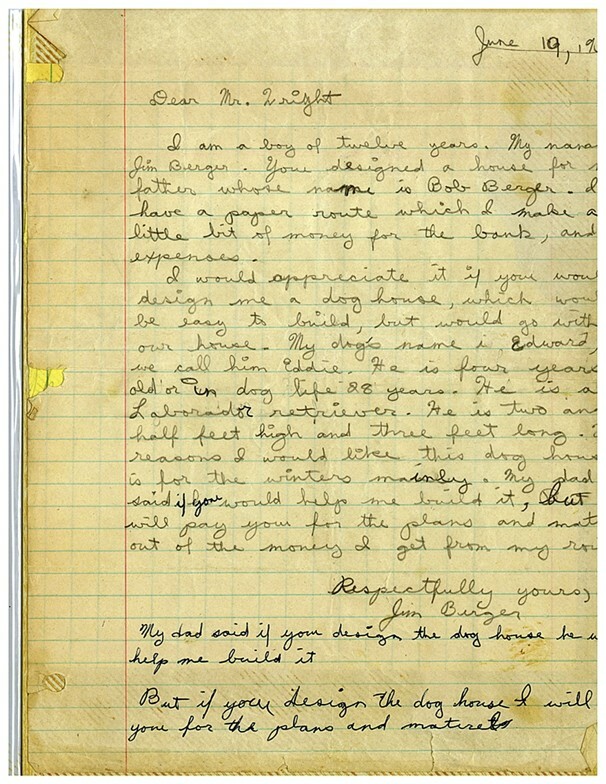 When Jim Berger, now 68, was 12 years old, he wrote to Wright and asked him for a design for his black Labrador, Eddie, offering to pay for the work with money from his paper route. 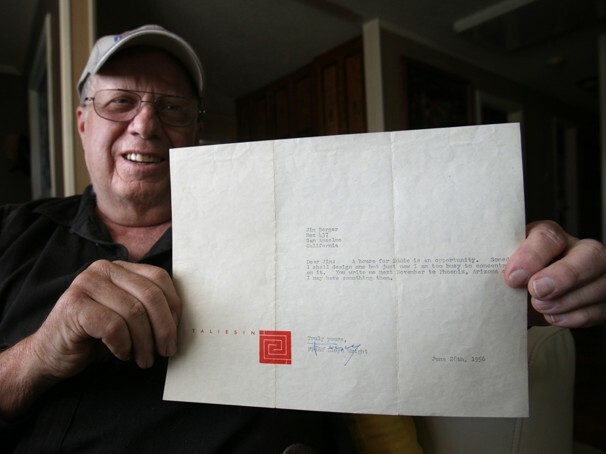 After exchanging a few letters, six months later Berger received the plans, free of charge. 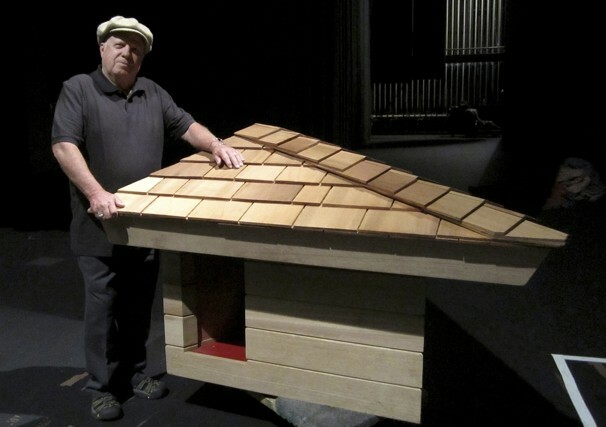 The original doghouse was destroyed, but a reconstructed version of it (above) will be touring the country for screenings of “Romanza,” a documentary about the architect, directed by Michael Miner. Above: Original plans from FLW stamped with his signature mark. Today Berger has a beagle. Now that’s one pampered pup! Read more about Berger and this film here. Man, this is awesome. I heard about it on Morning Edition today and wanted to look it up. This is what architects should really do in their spare time, instead of designing furniture or silverware. I want more dog architecture.